Preston North End have signed Peterborough left-back Andrew Hughes on a three-year contract. 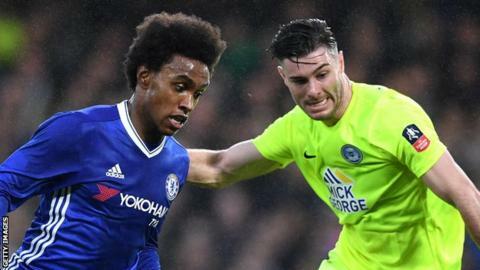 The Championship club had three offers rejected by Posh before having an undisclosed fee accepted for Hughes. The 26-year-old Welshman began his career with Newport, helping them regain a place in the Football League, before moving to London Road in 2013. Hughes made 102 appearances during his two years with Peterborough, scoring four goals. He told Preston's website: "It has all happened quite quickly and I can't wait to get started now. "I am now looking forward to the challenge of the Championship. As a player you always want to challenge yourself at the highest level possible." Hughes becomes Preston's fifth signing of the summer.